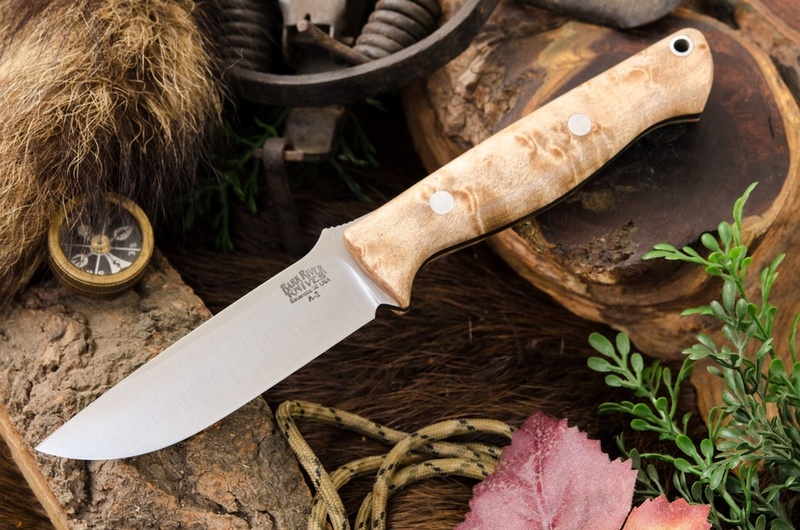 The Gunny is actually a compact Bravo-1, with all the features that made that knife a legend, but reduced size to make it into the tough, rugged, easy to carry Outdoor knife that the Gunny is known to be. 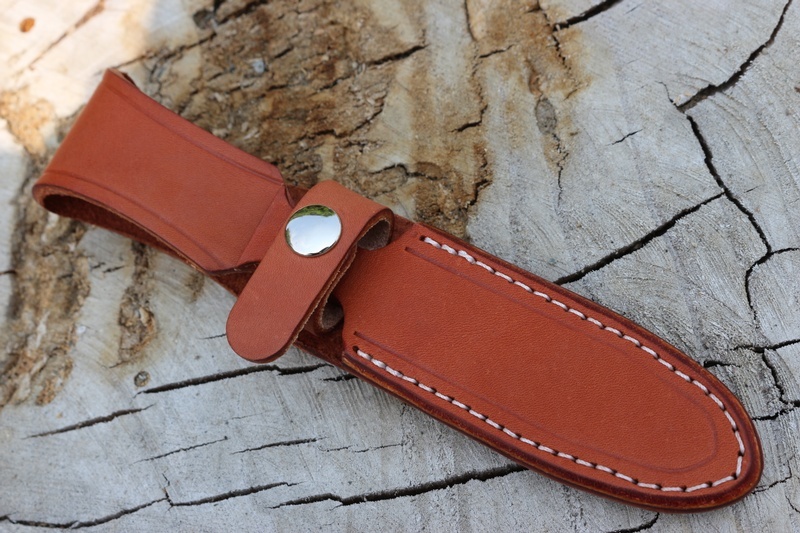 Using the classic Barkriver A2 Tool steel (58HRC) the blade edge is strong and keeps sharp! the contoured handle is comfortable and the full broad tang and solid slabs make for a robust and reliable knife. 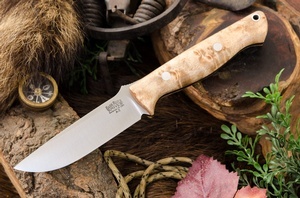 If you are looking for a compact Bushcraft knife, take a look at the Gunny, its tough compact design gets the job done. Purchase through PayPal by using the "Add To Cart" button above or use the form below to order the Barkriver Gunny A2 Birdseye maple . Feel free to contact us if you have any questions about the Barkriver Gunny A2 Birdseye maple .